but inflicted so much damage on the British army it caused British commander General Cornwallis to exclaim “Another such victory and we shall lose the war”. The National Park battlefield at Guilford Courthouse is a real pleasure for history buffs as the site is easy to navigate from the visitors center and is not overwhelming in it’s presentation. Like Greensboro itself….just enough! When folks visit a certain destination they often have a variety of interests that they want to investigate. 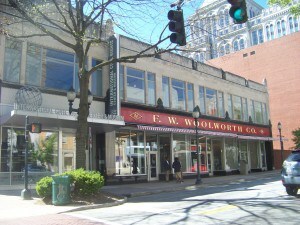 The International Civil Rights Museum and the Woolworth store so much a part of the story. 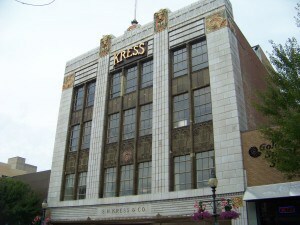 Already mentioned a little bit of history but for more a stop in Greensboro should include a visit to the National Civil Rights Museum, the Greensboro Historical Society and Museum and a stroll down South Elm Street in Old Greensboro to see some classic architecture most obvious will be the Art Deco style 1930 Kress store building. 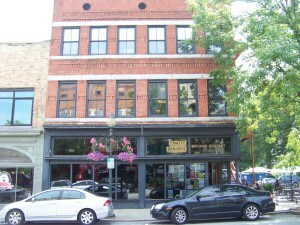 The architecturally significant S. H. Kress building on South Elm Street. 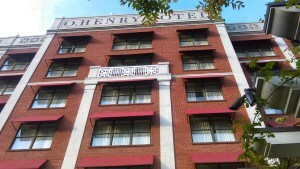 Some welcoming and attentive places to rest your head during your visit such as the award winning ‘green” Proximity Hotel and the elegant O.Henry Hotel with it’s incredible lobby and Green Valley Grille restaurant as well as many of the usual blend of hotels to fit different budgets and needs. There are also very eclectic and again fun neighborhoods blending into the city. 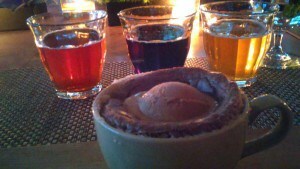 One of our favorites is the Lindley Park neighborhood which is centered around an incredible beer lover’s supermarket. That’s right supermarket, the independently owned Best Way Market on Walker Avenue is the anchor in a four cornered showcase of creatively mastered restaurants, coffee shops, and yes an good old fashioned laundry mat. 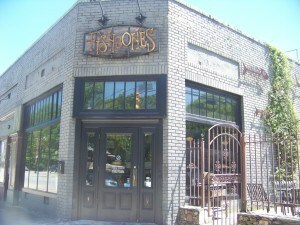 Fish Bones on the corner of South Elam and Walker, right next to Bestway. 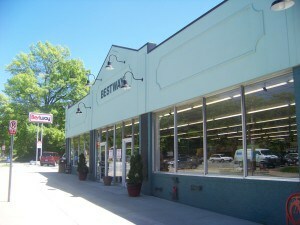 The Bestway Market on Walker Avenue -It’s all about the inside ! And yes the Best Way has a incredible “Wall of Beers“, over 1200 different brews to choose from. They are from all over the planet and believe it or not owners Roger and Nancy Kimbrough are looking to expand to over 2000 choices. 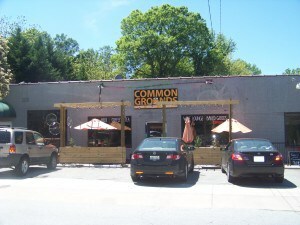 The Best Way has become a destination for many people visiting Greensboro. And not for just the beer. The market has a wide variety of local and North Carolina produce and products, from grits to greens. (Ah that word again) The four corners of restaurants at the meeting of Walker Avenue and South Elam Street include a cool coffee shop the Common Grounds Bakery -Wine and Coffee Café , Fishbone’s Restaurant, as well as a funky setting at Emma Keys Flat Grill, and adapted service station LPFS-Lindley Park Filling Station, Sticks and Stone Clay Oven Pizzeria, Walkers Bar and what else?…. Wahoo’s Restaurant of course. 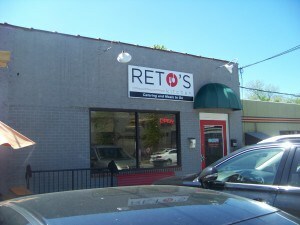 Want to walk around the 1920’s neighborhood stop in at Reto’s for a take out option. 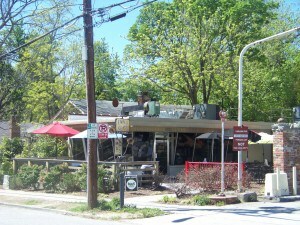 The funky Emma Keys Restaurant. Reto’s Kitchen- take out and more. One course of many at Sky Wild. Some new attractions have opened up recently which again are sure to be winners. Sky Wild Adventure part of the Greensboro Science Museum and Zoo, is sort of like a “George of the Jungle” for everyday people of all ages. A series of climbs for seven different skill and fitness levels, walks across rope bridges and other challenges on a course above the ground. The object is to simulate in some ways the movements of the animals you might have just encountered if you visited the zoo. 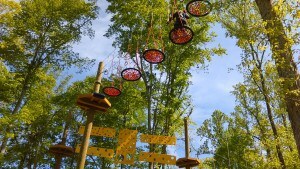 Participants are tethered and have helmets and safety equipment so it is quite a lot of fun for the adventuresome or not ! North Carolina along with many other states has experienced the boom in craft breweries and beer in general. The mini tour we experienced included the recently opened Pig Pounder, Preyer Brewing, Gibbs Hundred as well as the more established Natty Greene’s Bunker. Tours are available , the food is terrific and folks are friendly . Hopefully you have gotten my drift about Greensboro being just the right size in a beautiful area of North Carolina in fact Greensboro is part of the Piedmont Triad: Greensboro, Winston- Salem and High Point, the latter two being great places with many additional attractions not too far from the mountains of western Carolina. Try it, I’ll think you like it. Check out our many stories on previous visits to Greensboro and also contact the great folks at the Greensboro Visitors Center for just about any questions you have about the sights and sounds of Greensboro! 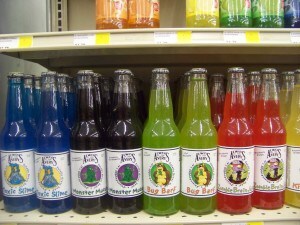 Bestway also has some soda pop whose names sound awful but taste good !